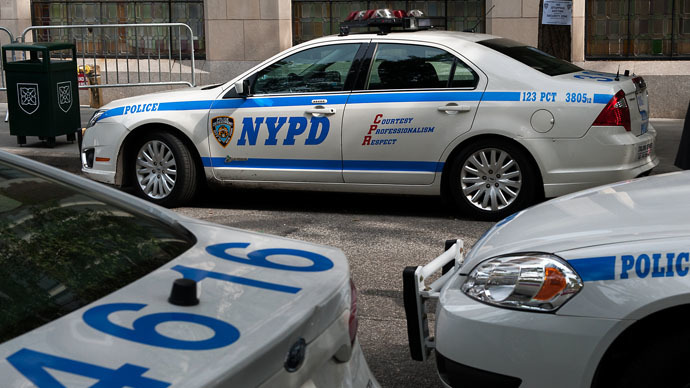 A Manhattan hedge fund founder was fatally shot in the head on Sunday afternoon in his Upper East Side apartment. His 30-year-old son has been taken into custody, according to authorities. Thomas Gilbert Sr, the founder and chief investment officer of Wainscott Capital Partners Fund, was allegedly shot dead by his son Thomas Gilbert Jr, who was arrested Sunday evening in his own Manhattan residence, the New York Postreported, citing police sources. Sources told the Post that Gilbert Sr, 70, and his son were arguing in the former’s bedroom at around 3:30 pm ET when shots were fired. Gilbert Sr’s wife called 911, sources said. A .40-caliber Glock handgun was found at the scene, police spokesman Lieutenant John Grimpel said, according to Reuters. Gilbert Jr allegedly left the apartment on Beekman Place after the shooting and was arrested at about 11 pm ET in Manhattan’s Chelsea neighborhood, according to the Post. A neighbor of Gilbert Sr, Christopher Kelly, told the Post that a doorman told him Gilbert Jr entered the Beekman Place apartment building shortly after his father had, and then left minutes later without responding to the doorman’s greeting. The shooting death has yet to be ruled a homicide, as authorities will await a coroner's findings, Reuters reported. Thomas Gilbert Sr graduated from Princeton University and Harvard Business School, according to a profile on his hedge fund’s website. In 2011, he founded Wainscott, a hedge fund based on biotech and healthcare investments. Gilbert was also a co-founder of Syzygy Therapeutics, a private equity biotech asset acquisition fund, before he left it to form Wainscott.